The SBDX diverter is built with long-wearing, polymer seals that provide edge of blade sealing. The seals are pressure loaded to compensate for wear throughout the life of the seal. Blade tip sealing is accomplished using an elastomer body seal that is easily replaceable. 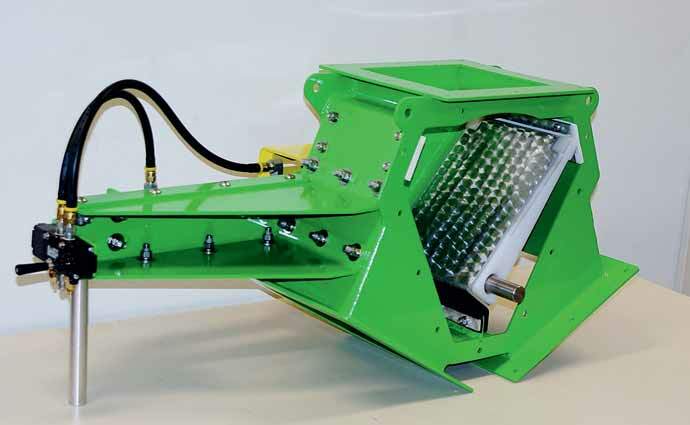 A removable access cover allows full access to the blade and all seals used in the SBDX diverter. The SBDX design is ideal for virtually all material sizes. Powders, grains, and large product sizes are all within the range of materials that can be diverted without leakage. flow surfaces: polymers, stainless steels, AR steels, chrome carbides, and ceramic. The diverter blade is supported by antifriction bearings. Shafts seals are provided to prevent exposure of the bearings to the product handled.